December 23, 2018 - After a massive push in the past few weeks we've just started the first full cryogenic cooldown of the entire TolTEC cryo system. 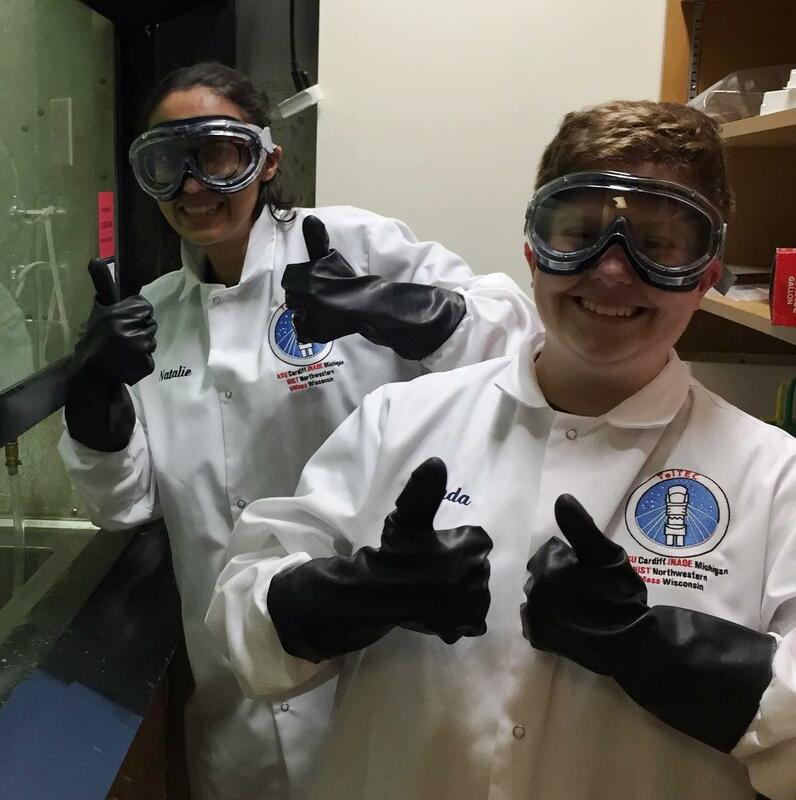 Some photos of the assembly of the cryostat are now posted on the Photo Gallery page. October 25-26, 2018 - To cap off a very busy week for the team, we held a workshop for the definition of the Extragalactic Legacy Survey Projects at UMass. We had 83 scientists come together to discuss potential survey fields, strategies, and complementary data sets. It was a very rich event and the excitement over the new capability of the camera was palpable. After the working group goes over the field selections one more time we will post the results on this website. Many thanks to everyone who participated! October 24, 2018 - The TolTEC Project hosted Rich Barvainis and Peter Kurczynski at UMass for an NSF Site Visit Review today. Overall the visit went very well. The highlight was a series of talks by 10 of the junior team members from UMass and ASU. They did a terrific job and represented the project well above all expectations. October 23, 2018 - We've just had our 3rd Team-wide face-to-face meeting for the techncal team. Progress on all fronts looks great and we did not identify any issues that should keep us from getting to the LMT in 2019. Overall, about 30 team members joined in person or remotely at the beautiful fall UMass campus to review the status of the project and make plans for the coming year. September 26, 2018 - Reid Contente, an undergraduate researcher at UMass and musician has put together a new song inspired by his work in the lab. According to Reid: This is a hip-hop influenced track made from audio recordings of the sounds we hear in the CDL lab every day. The sounds of compressors, turbo pumps, and pressure release valves were recorded on my LG V30 smartphone over the course of two days. In this time we had finished preparing the Oxford dilution refrigerator for its first cool down; first by pulling a vacuum on the outer vacuum chamber and all the lines, then charging the system with the helium mixture, finally running the helium compressors and pumps. I recorded the audio from equipment that make percussive sounds in order to use the samples in essentially one big drum kit. With my piano keyboard and MPC sample pads I was able to freestyle a beat, starting with the loudest and biggest sound recordings and adding the other samples that worked with the groove. Finally with a few choice audio effects and some mixing and balancing we have this track made entirely from the sounds of our science. September 5, 2018 - here are some new pictures of the gold plated feedhorns for the 1.1mm array and a closeup of the corresponding feedhorn array. 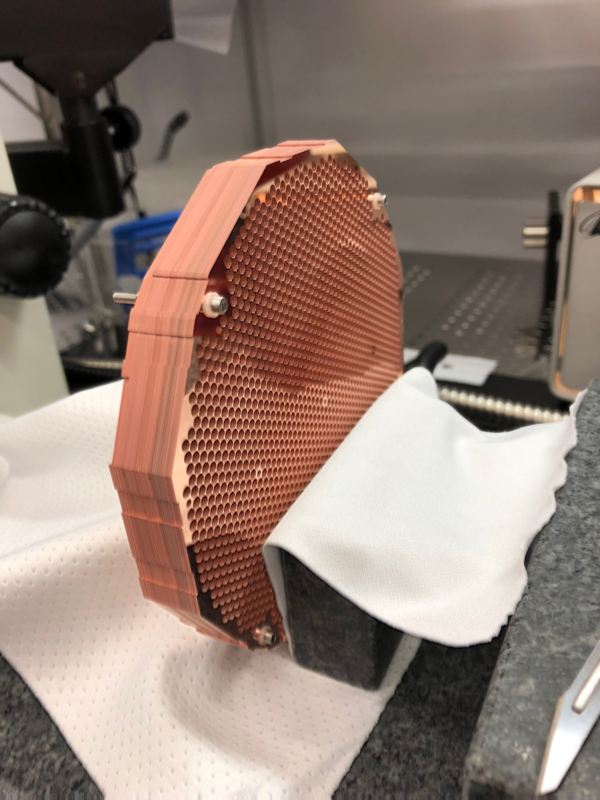 August 8, 2018 - NIST has completed the full fabrication of our 1.1mm array of detectors. Check out our Photo Gallery for a few pictures of the new array. Jason Austermann is preparing to test these detectors now. July 23, 2018 - We've just hit a major milestone in the project. Our new Oxford Instruments dilution fridge, which was installed in the lab at UMass during the past 2 weeks, hit its base temperature over the weekend. Our acceptance tests are ongoing but preliminary results show that we'll have at least 450uW of cooling power at 100mK. Our thermal model predicts that we will need less than 150uW of cooling power to cool the TolTEC detector arrays to their operating temperature so we should have plenty of extra capacity with this system to tackle unexpected heat loads. Pictures will be posted to the gallary page soon! July 20, 2018 - Here's a new photo of the 1.1mm array's feedhorn assembly from NIST prior to gold plating. This is a stack of more than 50 silicon wafers that are each individually cut in order to generate the proper feedhorn profile. The resultant "corrugations" provide good symmetry in the acceptance of the two polarizations. Overall NIST was able to pack 2003 feedhorns onto the structure - that's 4006 detectors if we put one behind every horn so we may get to up our detector counts as we push forward. June 20, 2018 - The registration page for the TolTEC Extragalactic Workshop to be held on October 25-26, 2018 has just gone live. We're looking forward to a beautiful fall meeting that comes on the heels of an open CANDELS meeting. 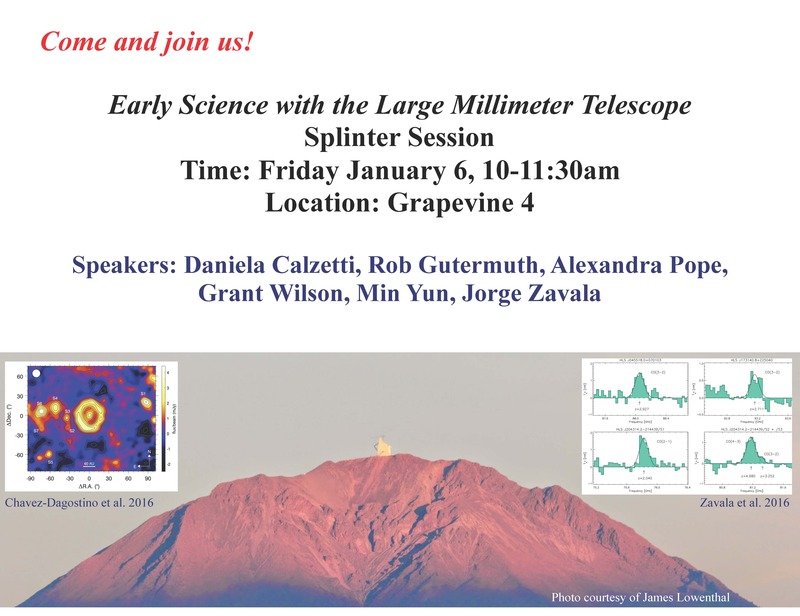 We hope to see everyone there to help choose the best fields and depths for the two extragalactic legacy surveys. Come for the fall colors, stay for the dusty galaxies! Check out the Galery page of this website for some recent pictures of folks at the UMass lab at work. We've hired a TolTEC postdoc at UMass! His name is Dr. Zhiyuan Ma. 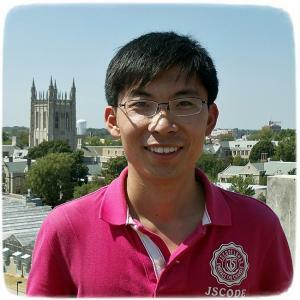 Zhiyuan is a recent graduate of the University of Missouri where he worked on the optical counterpart identification of sources found in Herschel surveys. We're real happy to have Zhiyuan as part of the team. TolTEC had a good presence at the recent SPIE meeting in Austin, Texas. Talks were given by Jason Austermann, Sean Bryan, and Grant Wilson. Be on the lookout for the corresponding papers on Astro-ph. The TolTEC cryostat is being built by Atlas Technologies. We are now expecting delivery at UMass sometime in February! Our TolTEC dilution fridge, being built by Oxford Instruments, is coming along and is now promised for delivery to UMass in early May. And finally, check out the "Meet a TolTEC" entries on our TolTEC Facebook page. We've currently got a few UMass people posted but we should be adding team members from other instituions soon. October 24, 2017 - We've just had our 2nd Team-wide face-to-face meeting for the instrument team. Overall more than 30 scientists joined in person or remotely at ASU to review the status of the project and make plans for the coming year. May 30, 2017 - TolTEC Project Scientist Itziar Aretxaga of INAOE was just awarded a "Fronteras de la Ciencia" grant by CONACYT in Mexico for her proposal "Deep panoramic surveys of the sky at 1.1/1.4/2.1mm with the new polarimetric camera TolTEC". Congratulations Itziar and Co-Is! 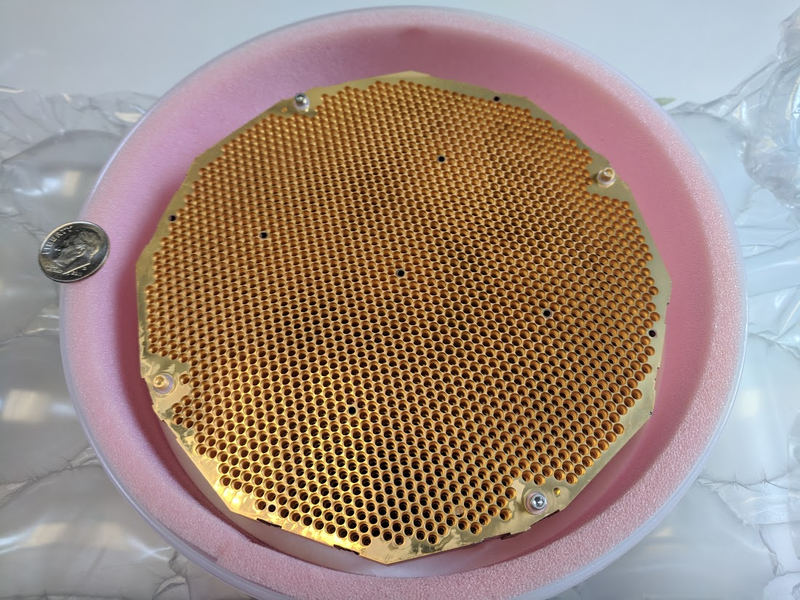 March 7, 2017 - NIST has produced its first round of prototype detectors for TolTEC's 1.1mm array. 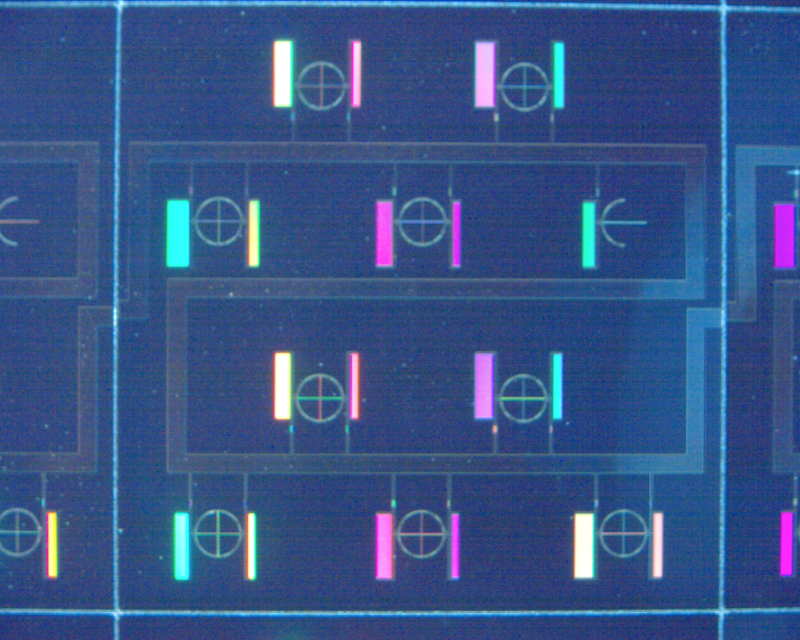 NIST has produced our first array of 1.1mm MKID detector geometries. These prototype detectors test various feature geometries as we refine the parameters that will yield the best array of 1.1mm detectors. Each circular feature with a cross inside is actually two detectors - one for each polarization of the incoming light. 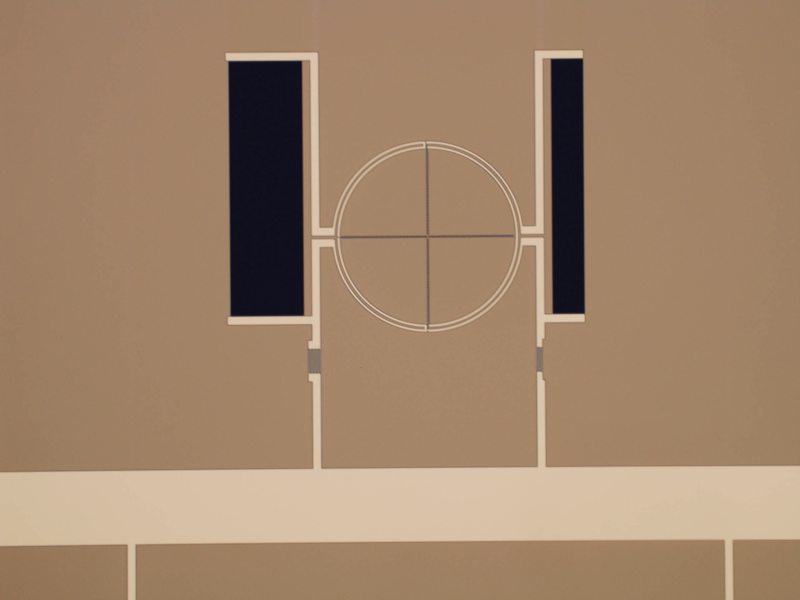 The feature with only a half circle is a test of the detector's sensitivity to the other polarization detector's presence. Here is a closeup of a single pair of MKID detectors. The detection of the incoming light takes place in the horizontal and vertical bars that span the circular structure. Most of the rest of what you see is capacitance that enables the readout of the signal. This device was produced by our colleagues at NIST. February 2, 2017 - Word came today that NVIDIA has generously donated a Titan X Pascal GPU to the UMass TolTEC group to support the development of the TolTEC analysis pipeline. We are currently investigating the benefits of moving the analysis pipeline from a CPU-based approach to a GPU-based approach. This donation will allow some of our students to get to work on a much more powerful GPU than we currently have in the lab. Many thanks to the NVIDIA GPU Grant Program. February 1, 2017 - TolTEC is going to be big! 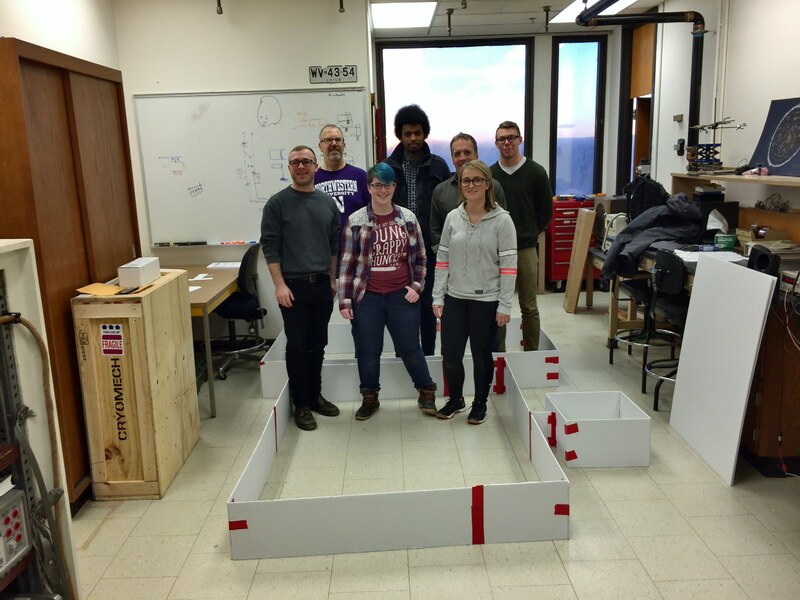 The UMass undergraduate team working on TolTEC built a model of the footprint of the instrument and then got inside. It's a little intimidating that we all fit with lots of room to spare. January 12, 2017 - The first major piece of TolTEC equipment has arrived at UMass - our PT415 Cryomech pulse tube cooler. We're looking forward to getting this installed in a new small Precision Cryogenics vacuum can that arrive in a few months. December 15, 2016 - Come visit with some of the TolTEC team at the AAS meeting in Grapevine, Texas. We are having a session for people to hear about results from LMT early science and a discussion about the TolTEC surveys. Here's a flyer for the event. December 1, 2016 - We have posted our add for a postdoc to work on TolTEC to the AAS job registry. Please let interested candidates know. This is a great opportunity to work on a fast-paced and exciting project. October 16, 2016 - We have finally downselected our logo from a bunch of great submissions. Thanks to Sean and Sam for the winning entry that includes both a nod to TolTEC culture as well as a radio telescope. September 28, 2016 - GW - We have just completed our project-wide, two-day technical Kickoff meeting. 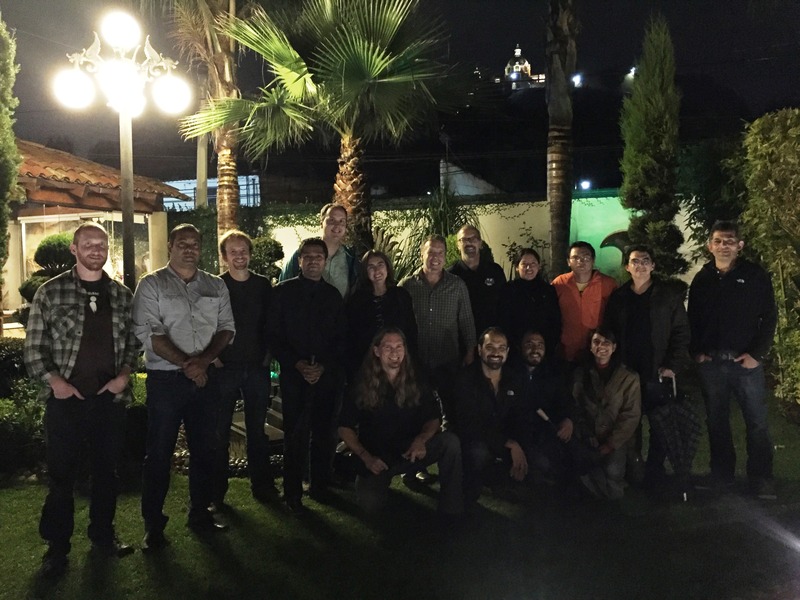 The meeting was held at INAOE in Mexico at the LMT Project office. Most subsystems have passed PDR and the technical team is now off to the races in detailed subsystem designs. We also have had our science team kickoff meeting with over 40 people in attendance. Everyone is encouraged to sign up for our email news letters on the Get Involved section of this website. September 9, 2016 - GW - It is finally official, TolTEC has been funded by the NSF. October 16, 2015 - GW - We've got a project public website.